Hills Fine Art & Craft, an Irish owned company, was founded in 1981 as Hill Agencies Ltd, initially as agents for popular toy and craft manufacturers. Today, the company has evolved and grown to become a leading distributor of fine art and craft materials in Ireland. We sell to the trade and focus on the business to business channel. 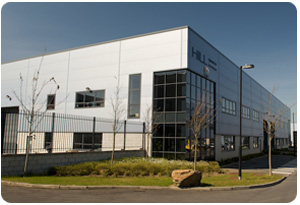 We operate from over 30,000 square feet of warehousing, offices and showrooms on the west side of Dublin, supplying many trade customers across Ireland with over 12,000 products. We represent and distribute over 25 world class brands, some of which we have partnered with for over 30 years. We have had a long established relationship with Colart – the worlds largest manufacturer of fine art and craft materials.